Outline: MVT will offer ‘MVT Rifleman Challenge‘ three day weekends where a series of light infantry skills will be tested. Successful completion of these tests will result in the award of an ‘MVT RIFLEMAN’ patch. Intent: To foster excellence among the community of armed civilians, in order to raise training standards and provide a readily identifiable, achievable, skill level. Scope: During the 3 day MVT Rifleman Challenge, training and testing will be conducted, with a number of required Rifleman skills being tested to standard during the course of the Challenge. 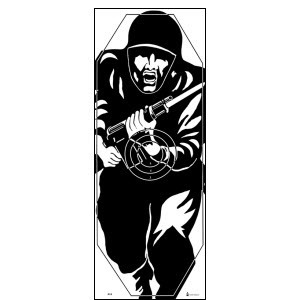 MVT Rifleman patches will be awarded to all who meet the standards. The MVT Rifleman Challenge weekends are a mixture of training and testing of specific skills to the Rifleman standard. The intent and the spirit of the Challenge is to encourage and train individuals to meet the standards. The Rifleman Challenge needs to be trained for, both with physical and skills training for the various events. You do not have to have trained at MVT in order to attend the Challenge, but do not come unprepared. Attendance at the Combat Team Tactics (CTT) and Combat Patrol (CP) classes WILL familiarize students with the majority of the skills. A study of ‘Contact! A Tactical Manual for Post Collapse Survival’ will provide the theoretical knowledge for the Challenge, to be reinforced with practical physical, marksmanship and tactical training. The Challenge should be viewed as a hybrid of MVT Tactical Classes, where there are additional skills instructed and tested , and the tasks must be conducted to standard. The PT requirement is key to these standards. There are 8 Core Test Events that will be tested at each Challenge. Some are physical, others are live firing, and others are skills based. Where live firing is conducted, SOP rehearsals and safety briefings will be conducted beforehand. In the detail below there is information on which skills will have periods of instruction prior to testing lanes. There are also a number of Additional Core Rifleman Tasks. Several of these tasks will be selected at random at each Challenge. For the practical skills, instructional periods will be conducted in order to meet the standards of competency. For the skills that can be learned at home, verbal questioning may be conducted in order to asses the level of the student’s knowledge. All this is to encourage students to come having studied and trained for the event, but in the knowledge that where skills training cannot be conducted at home, it will be provided at the Challenge. Bottom line: come physically and mentally trained and prepared, but don’t worry if there are unavoidable knowledge and training gaps, because we will not throw you in at the deep end, but will provide periods of instruction. This is somewhat nuanced, and all the detail cannot be provided here, but please trust that the MVT cadre is professional and is there to help you succeed. There will be 8 Core Test Events. These events will consist of individual and team challenges. Tasks will be assessed both objectively and subjectively: individual events will be assessed for time and successful task completion; team events will be assessed for successful task completion, teamwork and effort. The 2-Miler is an individual best effort event, designed to simulate a rapid movement to relieve troops in contact. It is a physical and mental challenge that will asses an individual’s aptitude for the Rifleman role. It tests physical fitness, heart and determination. Slings may be used on rifles, but the rifle must not be carried on the back or on/in the ruck. It must be carried either to the front of the body or at the trail. Note: for training purposes, for the 2-Miler run on a flat or gently rolling course, the goal is sub-18 minutes, sub 20 minutes for Rifleman, sub 25 minutes for Rifleman Reserve. 2. 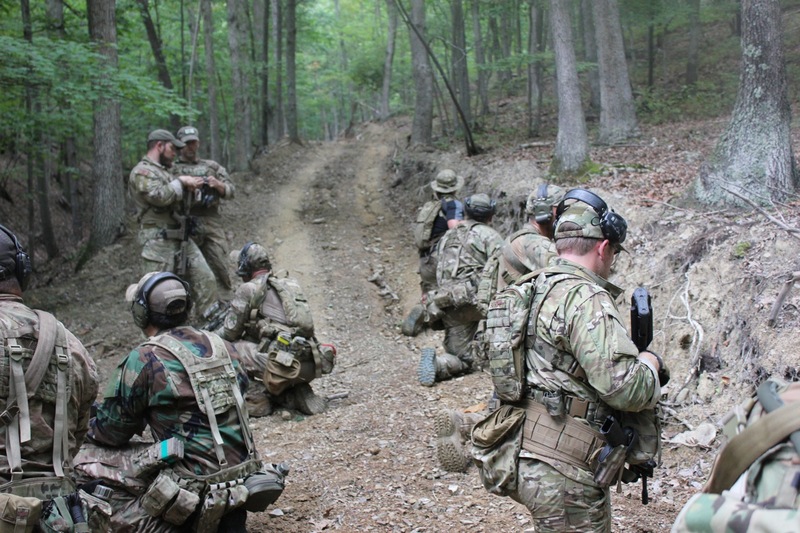 Combat Shooting Qualification: The shoot takes place with a short break after the 2-Miler. Time will be given to walk from the end of the course to the range, drop ruck, drink water and put on LBE. This is designed to simulate combat and the stress of engaging the enemy after the 2-Mile approach. 5 x 10 round magazines rifle, 1 x 10 round magazine handgun. 40 seconds including magazine changes. Ready up standing controlled pairs x 5 on command from 25 to 10 yards. 10 yards: transition to handgun, 10 rounds 15 seconds. Total rounds 60 (rifle 50, handgun 10), max score 300, current pass mark 225. To be beta tested further and adjusted if necessary. Below: Example Ivan Qualification Target. It will either be this fig. 11 or the fig. 12. 3. Weapon Manipulation: Perform speed reload, tactical reload, and malfunction/stoppage drills on rifle and handgun: tested to standard. Limited Remedial instruction will be provided in order to bring students up to standard if necessary. Rifle Stoppage Drills detailed at the bottom of the Combat Team Tactics (CTT) Page. 4. Navigate: MVT navigation course: use a map and compass, navigate point to point across country as an individual. Load Bearing Equipment (LBE), patrol pack and rifle. There will be no period of instruction for this event. Training must be conducted by individuals prior to attending the event. There will be a safety brief. GPS use will result in disqualification. The standard will be successful completion of the course within the allotted time. Land Navigation Instruction. 5. Team Casualty Evacuation: This is a team physical event based around a casualty evacuation – a litter carry. Litter teams will be grouped on physical ability based on the 2-Miler results. This event will test physical fitness, mental fortitude, determination and teamwork. 6. Move under direct fire: fire and movement: Conduct live fire buddy pair or team fire and movement to standard. Safety brief and team based SOP rehearsals will be conducted prior to this live firing event. These drills will be conducted as for a Combat Team Tactics (CTT) Class, the standard is successful completion of the drill without safety violations. 7. 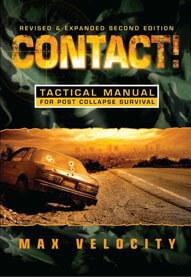 Perform unit SOP break contact/anti-ambush drills: Perform 4 man team live fire break contact drills to standard. Contact front or flank (left/right) will be tested. Safety brief and team based SOP rehearsals will be conducted prior to this live firing event. These drills will be conducted as for a Combat Team Tactics (CTT) Class, the standard is successful completion of the drill without safety violations. 8. Conduct Tactical Combat Casualty care (TC3) to Combat Lifesaver standard. This will take the form of a four hour instructional period followed by trauma lanes for testing. All skills required will be taught at the class. The standard will be successful conduct of the TC3 protocol on a simple trauma lane. Not all of these tasks will be instructed / tested any one 3 day Challenge weekend, but any of them can be. Many tasks, if included, will have a period of instruction provided prior to any testing. Consider the instruction period as a rehearsal, after which students will conduct the task to standard. Leadership will be provided by the MVT cadre as required by the task. The intent of the cadre is to pass people, if they demonstrate the knowledge to a reasonable degree, and if any knowledge or skill gaps can be made good with a short period of instruction. Rehearsals and safety briefs will be conducted for team movement tasks, and it is not the intent of the cadre to catch people out. The intent is to develop and train. 9. (Shoot) Load, unload, strip and reassemble, clean and maintain personal weapons, including field cleaning. 10. (Shoot) Prepare a range card. 11. (Move) Conduct squad and team movement techniques and formations. 12. (Move) Basic fieldcraft: camouflage and concealment, movement under enemy observation. b. Linear Danger Areas: conduct team or squad LDA crossing drills. c. Action on Objective: Close Target Recce, Observation Post. e. Halts: conduct security halt formation. f. Conduct of a squad hasty ambush. 14. (Move) Avoid thermal surveillance utilizing terrain and vegetation masking. 15. (Communicate) Perform voice communications including reports, voice procedure, phonetic alphabet: TBD. 16. (Communicate) Perform visual signaling. Hand signals: TBD. 17. (Fight) Enter and clear a room. 18. (Fight) Conduct a simple squad deliberate ambush (L-shaped or Linear). 19. (Fight) Conduct support by fire for a squad attack. 20, (Fight) Conduct an assault as part of a squad attack. 21, (Fight) Occupy a squad patrol base. 22. (Fight) Establish a buddy pair shelter area. 23. (Fight)Theory of cover: identify temporary fighting positions. 24. (Fight) React to indirect fire. 26. (Fight) Search enemy dead. Tactical Combat Casualty Care training and trauma lanes. *Note: some wildcard core skill testing / instruction will take place as background activity during wait times. Fighting Rifle: a semi-automatic battle rifle utilizing detachable magazines of minimum 20 round capacity. AR/AK type platforms are an example of a suitable rifle. The safety must be operable with the firing hand, by finger or thumb, without removing the hand from the pistol grip. Rifle sights: there are no restrictions on iron sights or optics. Either a 25 or 50 yard zero are suitable. Zero prior to arrival: there will be limited capacity to check zero. Handgun: semi-automatic magazine fed handgun with a minimum magazine size of 10 rounds. In a suitable holster allowing rifle to handgun transitions. Ear protection. Howard Leight Impact Sport electronic ear protection, or a similar product, is recommended. These will cancel out the harmful sounds of weapons firing, while allowing you to hear commands. They are excellent for tactical training, and safety. First Challenge Event: 27-29 March 2015 (Friday thru Sunday). There will be a 10% Alumni and also a 10% ‘Oath Taker’ discount for military and first responders; professionals who have sworn an oath to the Constitution (10% discount per person only). Note: attendance on MVT Progression training classes, including Combat Team Tactics and Combat Patrol, will train the majority of skills on this list. The MVT Rifleman Challenge is intended to form the first rung of a training progression. MVT will construct leadership classes in order to award patches for successful completion. The next level patch will be MVT Squad Leader . That class will teach SUT, leadership and troop leading procedures. This looks awesome. ..a great way to cap off a gradual succession of skills, physical and mental training and preparation. I like the varied activities and the very respectable standards. I’m in!